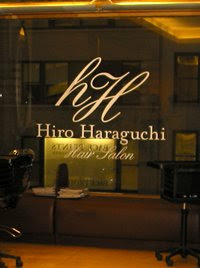 Last week I had the privilege and pleasure of getting my haircut at Hiro Haraguchi Hair Salon. Let me preface that I usually get my haircut at a local hair salon that I have been going to for years. And I've never had a problem with trims and bangs services. Things changed (for the worse) when I started asking for layers. Last time I was there, this sweet lady that I've known for years just mangled my hair! As if Edward Scissorhands' spirit had descended upon her, she started cutting and cutting and cutting. I knew something wasn't right. I just wasn't sure how much damage she had caused. Needless to say, when I was presented with the opportunity to try out Hiro Haraguchi's Salon I was thrilled! From the beginning, everything went smoothly and even though I was late, the staff at reception was exquisitely cordial. While waiting for my stylist, I sat down on a comfortable couch at reception, and was offered something to drink, but I still wasn't sure who was going to cut my hair, since the salon employs many top stylists, and beggars can't be choosers (my haircut was complimentary). What a beautiful salon he has. The decor is minimalistic and very soothing. If it weren't for a curio with hair products located right across from where I was sitting, you couldn't have guessed this was a hair salon waiting room. It was more like a classy and elegant 57th Street apartment entrance. Then, from a door in the distance came out Mr. Haraguchi, and that's when my heart did a little jump because I realized he was coming out of his private office for me. He introduced himself, and walked me right to the main room. He made me sit down and started looking at my hair. I was happy to finally get an opinion I knew I would trust completely. I mean Mr. Haraguchi had worked closely with Garren before opening his own salon, and his clientele is full of celebrities. fried and with horrible layers. I felt the need to apologize for presenting him with such a spectacle. You can take a look for yourself in this "before" photo. He immediately corrected me: "There is no bad hair, only bad haircut". He said this to me like a sage sharing an old saying. As he started examining my hair, I kept quiet as not to distract him, but I was very curious to see how honest he was going to be. He didn't say anything at first, he just kept lifting my back layers up in the air to examine the lenght. But the expression on his face kept getting more and more perplexed. He finally shook his head and told me that my layers were way too short. "No balance" was his final sentence about my hair. Seeing the perplexed expression on my face now, Mr. Haraguchi went on to enlighten me: "Haircuts need balance. You can't have such short layers on top, and much longer hair on the bottom." He had a point. The best part is that I had no idea that my layers were too short, I just thought I had too many (I can be oblivious at times!). He continued with a passion that was inspiring: "When I see the back of a woman's head, and she has beautiful hair, that makes me want to also see the front. But if the back looks messy or unbalanced, I don't want to see the front". He then worked very hard with me in trying to come up with a solution for my hair. He wanted to cut my hair at least 4 inches to balance it out again. I just wanted a trim, because I have this irrational love for long hair. He must have felt my pain (and see the panic starting to color my face at the thought of 4 inches or more), because he suggested another option, to cut but not as much. After thinking about it, I agreed to cut it all, to regain some balance. As he started cutting my hair, with gentle and precise hand movements (none of that Scissorhands stuff), I felt more comfortable with my choice. Me: "Is there anything that can make thin hair grow thicker?" Hiro: "No. Thin hair is part of your DNA". Me: "So are all those treatments for thin hair out there worthless?" Hiro: "It depends on the treatment. Scalp treatments will help." Me: "But they won't make your hair grow thicker!" Hiro: "No. But a clean scalp is essential to healthier hair". Hiro: "Just as you wash your face every day, you should also wash your scalp every day, to avoid any build-up that will weaken your hair and could cause hair loss". Then he told his assistant, Yoriko, to get the computer and bring it over to him. I wasn't sure what was going on. By this time, Hiro was already blow drying my hair. Yoriko wheeled over a laptop with a small probe attached to it. On the screen there was a weird picture of something that I figured had to be a close-up of hair. 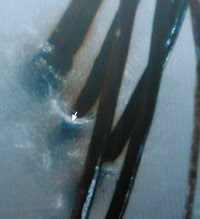 Then they explained to me that we were going to take a closer look at my hair, and the probe was placed on my head. 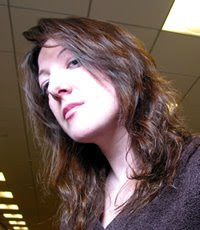 As you can see there is a tiny cursor on the picture pointing at the white stuff around my hair: build-up. The good news, Hiro said, was that my head didn't look bad at all, and we actually found many hair without any build-up around it at all. So the more the build-up the more it can suffocate and eventually kill the hair. Enough to convince me to really scrub my scalp going forward! Two more minutes with the blow dryer and my hair was done. And for your viewing pleasure(!) here is my "after" photo. I am glad I let Hiro "convince" me to cut it as much as he did. My hair really needed it. His hair philosophy is to tackle problems, find a balance, and give every woman the best hair she can have. All of it achieved with haircuts easy to maintain back at home. 41 East 57 Street, 4th Fl. If you decide to check it out, mention NY Spender, and you will get a 10% discount on your first visit! Wow, I love it! Just have to wonder what they charge. But your hair looks great! You look gorg! Can't wait to see the new do in person!!! Gorgeous cut! It's very flattering. Very nice! Your hair is fine and I think he has given you more volume and it looks good overall. I have fine hair myself and I can't agree more with him about the layering part. A good haircut is really important and finding a good stylist is not easy though. I just love it, Elisa. It looks wonderful. What a great piece on the salon and Hiro too. You do must share, if you were to walk in as a paying customer, do you know what the charge would have been for a consultation, cut , blow out and style? Wow! You look incredible! I think the next time I am in NY I'm going to have to give them a call. What a great and informative experience! And the result, you look fab! Your hair looks fantastic, and ever so glam! Love it! Thanks Teri. 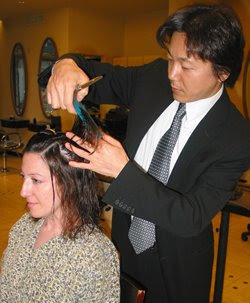 The price for Hiro's cut and blow-dry is $300. Now you understand why I was so thrilled! Thanks Shannon. I think that even though the price is very expensive, it's a one-time present you could give yourself, and walk away with some great advice (and awesome haircut!). NYSpender, You look gorgeous! He did a fabulous job on your hair. This salon sounds pretty ritzy. Can us average gals afford haircuts there? 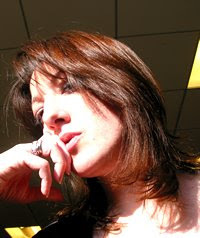 Your blog must be attracting attention if you received a complimentary haircut to blog about the experience. Congratulations! Excuse me if that was not the purpose of your visit. You look fabulous either way! I have always maintained that the best hairstylists will make you look years younger and 80 million times happier. Now I have proof. you look fantastic! The salon has different price ranges, and while Hiro's price is $300 (the top), haircuts start at $100. did I mention that I love your name? Oh my gosh, your hair looks gorgeous! I love it. And I'm so excited to hear how great the salon is -- I'm actually going there tomorrow! I have an appointment with Hiro and will mention NYSPENDER in hpoes of getting the 10% discount. I just want to look beautiful!